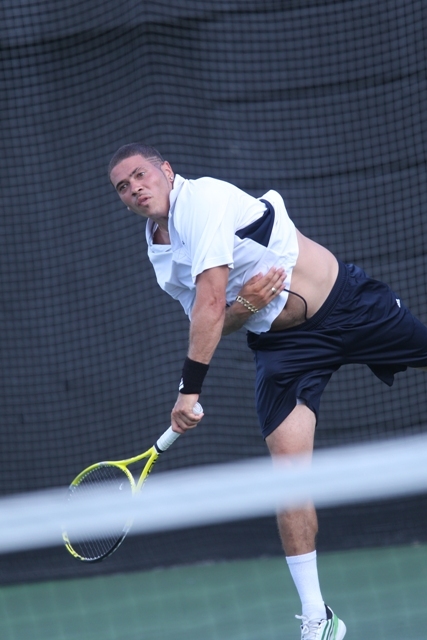 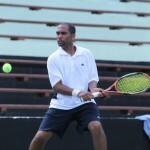 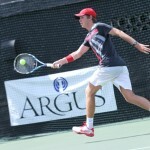 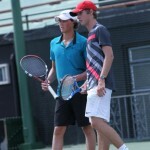 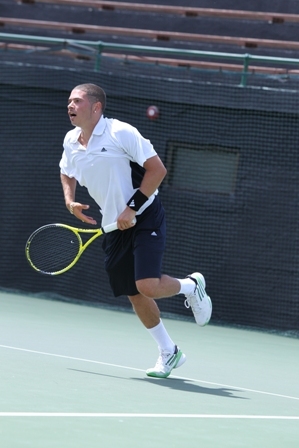 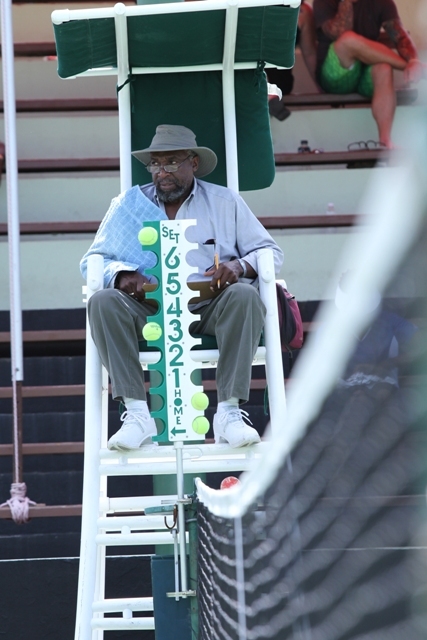 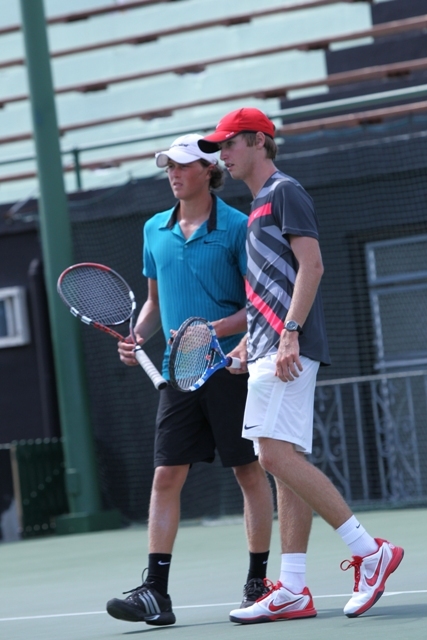 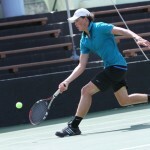 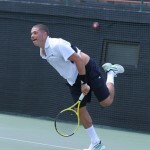 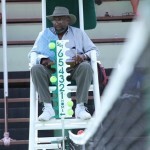 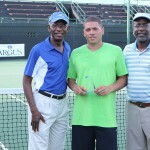 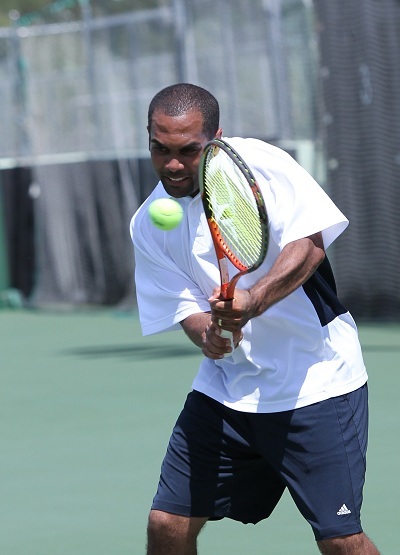 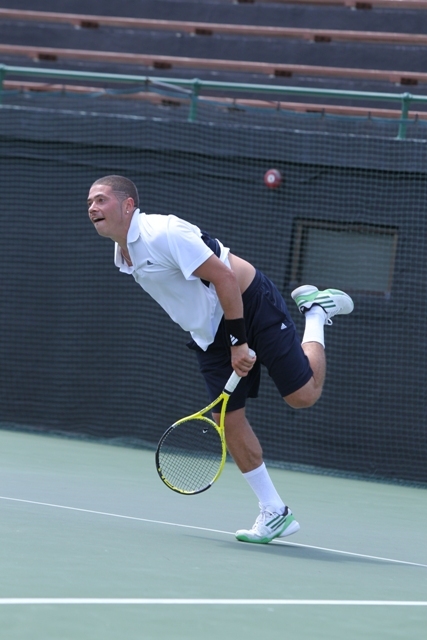 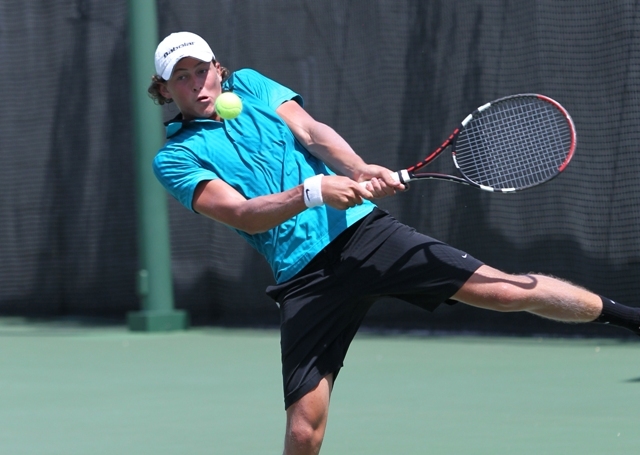 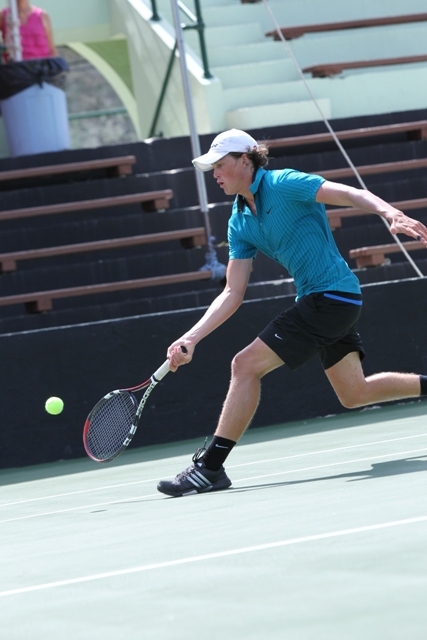 The finals of the annual Argus Open tennis tournament were played today [July 23] at the W.E.R. 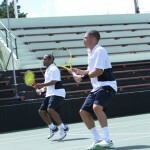 Joell Tennis Stadium. 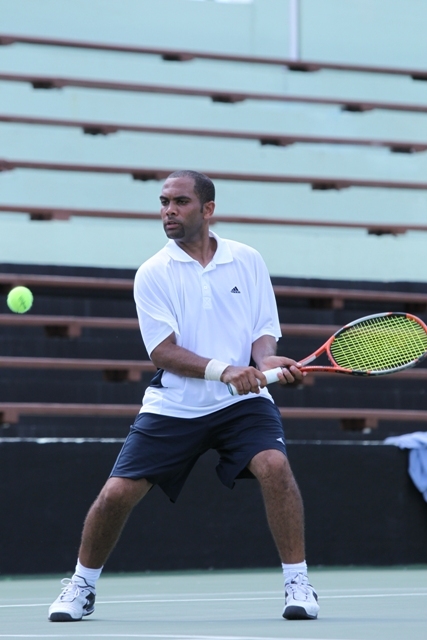 The Men’s Open Singles was won by Gavin Manders after an exhilarating playoff against Jenson Bascome for the title [6-4, 6-3]. 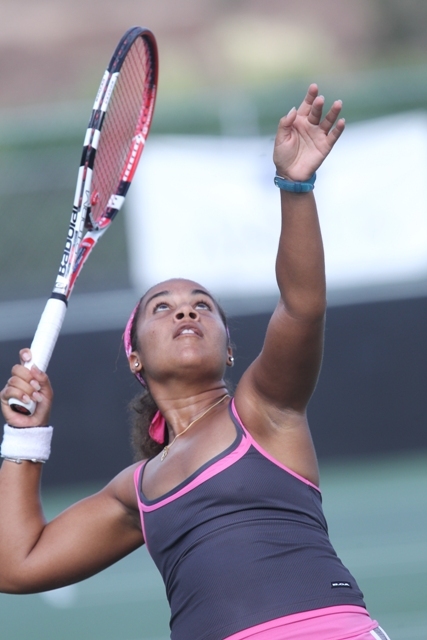 Cayla Cross claimed victory over Catherine Cooke in the Ladies’ Open Singles [6-3, 3-6, 7-5]. Erwin Leader took the Senior Men’s Singles title against Christopher Bardgett [6-1, 6-2]. 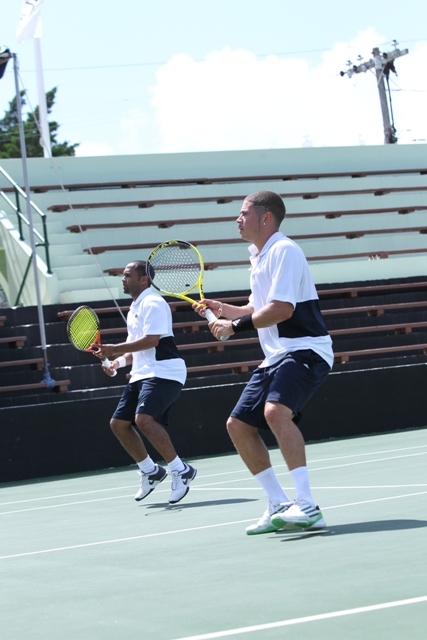 Meanwhile Jenson Bascome and Gavin Manders [pictured in centre below] reigned supreme in the Men’s Open Doubles category over Alex Cooper and Jack Keyes. 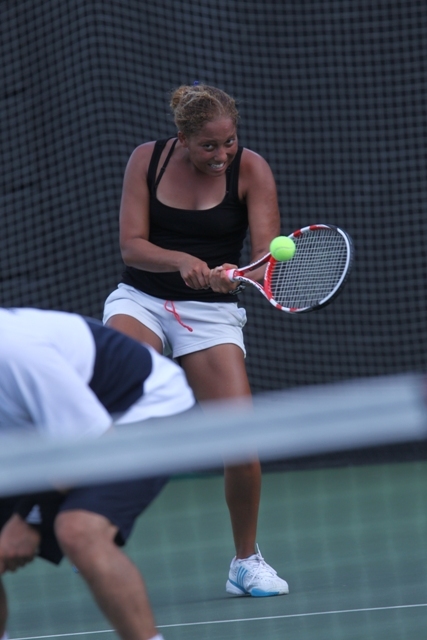 Tara Lambert and Jacklyn Lambert were victorious in the Ladies’ Open Doubles title against Catherine Cooke and Ciara Svenson. 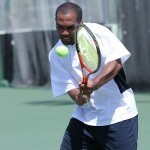 Jenson Bascome and Tara Lambert championed the Mixed Doubles competition against Gavin Manders and Jacklyn Lambert. 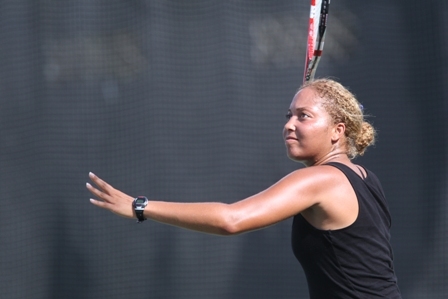 Gill Butterfield and Sarah Cook were victorious over Elin Daniels and Cheryl Green in the Ladies Seniors Doubles. 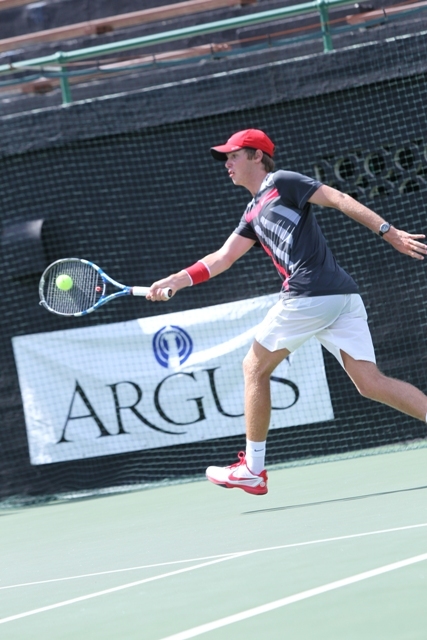 As an added incentive to participate or come and support the players, this year anyone who attended the Argus Open was able to enter a free prize draw to win a pair of tickets for this year’s U.S. Open, taking place in New York from August 29 until September 11. 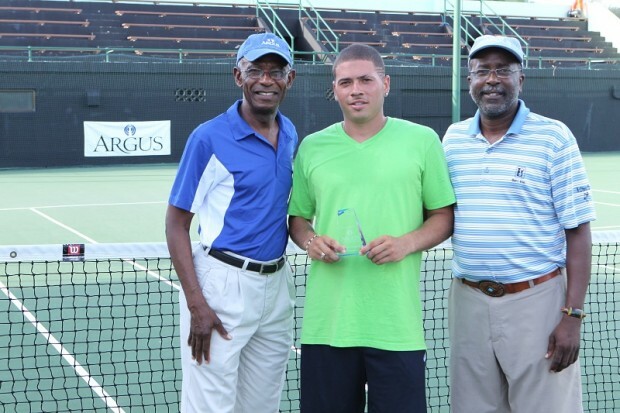 The winner drawn at the prize-giving ceremony this afternoon was Lanan Bascome.